Journalists and scholars Petra Couvée and Peter Finn have spent many years uncovering the truth about the first Russian-language publication of Pasternak’s novel in the West, aided by the CIA. They told RIR about their research for their new book, ‘The Zhivago Affair’. 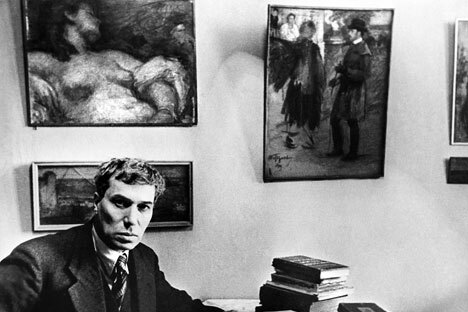 In 1956, after decades of work, the well-known Russian poet Boris Pasternak finished his foremost novel. An epic tale of individual love and suffering, ‘Doctor Zhivago’ was at odds with the officially approved aesthetic, which championed heroic workers and upbeat ideological messages. The Soviet authorities refused to publish it, but the manuscript was smuggled out to Italy. Eventually, it ended up in the hands of the CIA. It was they who printed the first Russian edition of the novel and distributed it at the Brussels World Fair in 1958. The fair was a rare event that a large number of common Soviet citizens had an opportunity to attend – Belgium had issued about 15 000 visas to visitors from the USSR. This was a great opportunity for the CIA to distribute the fresh-printed novel. “This book has great propaganda value,” a CIA memo to branch chiefs of the agency’s Soviet Russia Division stated, “not only for its intrinsic message and thought-provoking nature, but also for the circumstances of its publication: we have the opportunity to make Soviet citizens wonder what is wrong with their government, when a fine literary work by the man acknowledged to be the greatest living Russian writer is not even available in his own country.” The 1958 edition was only the first one. Next year, CIA went on to publish a miniature paperback edition, attributed to a fictitious publisher, to be distributed to Soviet and Eastern European students at the 1959 World Festival of Youth and Students for Peace and Friendship, which was to be held in Vienna. This startling fact of the CIA involvement in the first Russian-language publication of the novel is at the heart of Petra Couvée and Peter Finn’s new book ‘The Zhivago Affair,’ out recently in Pantheon. “The back story of the novel, from its origins to the Nobel Prize controversy, was worth telling on its own,” says Couvée, a lecturer at Saint Petersburg University, but the plot thickened as she began to break through the layers of secrecy surrounding its publication. Couvée uncovered the part played by Dutch intelligence (BVD) back in the 1990s, when a former intelligence officer told her that the BVD helped get the novel printed in Holland in Russian at the request of the CIA. “My first article was a reconstruction of the events, based on Dutch, Belgian, French, Russian, German and American material,” says Couvée. It was published in July 1998 in an Amsterdam literary journal with a “somewhat unresolved ending” and led to a popular TV documentary in January 1999. “I instantly knew that the CIA was deeply involved in the printing of the first Russian Doctor Zhivago,” says Couvée. The documents were redacted, but the authors were able to “tease out the names” and flesh out the characters from archives and interviews. Another “thrilling moment”, according to Finn, was holding the actual manuscript, smuggled out for Feltrinelli: “The pages were held together with twine and it was marked up by Pasternak’s hand,” he recalls. The personal encounters with survivors from Pasternak’s circle give the book its vivid, first-hand feel. Although the events it describes took place more than half a century ago, the action is often as full of suspense as a spy thriller. Due to reorganisation within the CIA, the documents were not released to the public until earlier this year, allowing Couvée and Finn exclusive access to the material while they worked on the book. For Finn: “there were all kinds of discoveries big and small along the way, from a fragment in a memoir or a piece of correspondence to a memo from the consul in Munich to the State Department about a conversation with one of the people involved in the translation of Doctor Zhivago.” From Couvée’s first discoveries back in the late twentieth century to this year’s compelling publication, the authors have relished this literary adventure. “It has always been a fascinating journey,” says Finn.